The Fixed Establishment concept is one of the most significant concepts in VAT, as well as a complicated one. The interpretation of this term not only provides a more determinant way of deciding the place of supply of given services, but it also increases the possibility of applying the Reverse Charge mechanism / rule (Art. 11, 11A-C). The definition of fixed establishment was firstly developed through the Court of Justice of the European Union (CJEU) case law and later it was introduced to the EU legislation. The legislation of fixed establishment was first defined in the Council Implementing Regulation (EU) No. 282/2011 of 15 March 2011, in order to adopt implementing measures for the VAT Directive 2006/112/EC on the common system of value added tax. -Has presence of human and technical resources. -Performs transactions relating to services and not to goods. The above mentioned characteristics seemed to be satisfying only in cases of foreign entities owning infrastructure such as machinery, warehousing and personnel i.e. labor employed under contracts as entities with fixed establishment in a given country. However, this has recently changed. Specifically in 2014, when the case of C-605/12, 16/10/2014, Welmory Sp. z o.o. came up, the CJEU “turned their attention” to any case where a taxable person uses resources of third parties, in undertaking activities in Member States where no fixed establishment is owned, in order to cover situations like Welmory. Therefore, the judgment stated that the company did not need to owe the resources in order to be considered as a fixed establishment. Which means that a fixed establishment can be created by a third party that possesses the resources, as long as the foreign entity has the control over them. The broader fixed establishment concept as introduced by the CJEU would therefore require that a company must have: a sufficient degree of permanence, presence of human and technical resources, as long as the foreign entity has control over them, even though such resources are owned by a third party, as well as processing with service transactions, relating to the economic activity of the Company. In regards to the FE concept, Article 44 states that the place of supply of services to a business acting in its business capacity (taxable person), is determined by the place where the taxable person has his business establishment. Nevertheless, if those services are provided to a fixed establishment of the taxable person located in a place different from the place of the business establishment (i.e. services provided in Germany and fixed establishment is located in Cyprus), then the place of supply of those services, is the place where the fixed establishment is (i.e. Cyprus). In case that there is no place of establishment or fixed establishment, the place of supply of services is considered to be the place where the recipient taxable person has his permanent address or usually resides. Moreover, in regards to the FE concept, Article 45 states that the place of supply of services to a private individual who is the final consumer (non-taxable person), is determined by the place where the supplier has his business establishment. Nevertheless, if those services are provided from a fixed establishment of the supplier located in a place different from the place where his business establishment is (i.e. 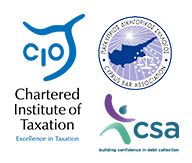 services provided from Cyprus but supplier located in Germany), then the place of supply of those services, is the place where that fixed establishment is located (i.e. Cyprus). In case that there is no place of establishment or fixed establishment, the place of supply of services is considered to be the place where the supplier has his permanent establishment or usually resides. Overall, any taxable person who’s activities are correlated to the above mentioned concept, called “Fixed Establishment concept”, has the obligation to be aware and very well informed of these significant information in order to avoid any VAT implications. For further VAT legal advice about possible consequences for your specific business or personal situation, you are more than welcome to contact us by filling the contact form below.